We offered “Unlimited” pricing plan last year as we launched Prevent Direct Access Gold version 2.0. The Unlimited was meant to help people who would love to use our Gold version on more websites than usual. For example, Unlimited was a great fit for those used WordPress multisite network, multiple websites at subdomains or staging sites. It turns out there were not too many demands for the Unlimited especially when we had to keep increasing its price to cover our increasing efforts in providing the same superior support across a huge amount of websites. 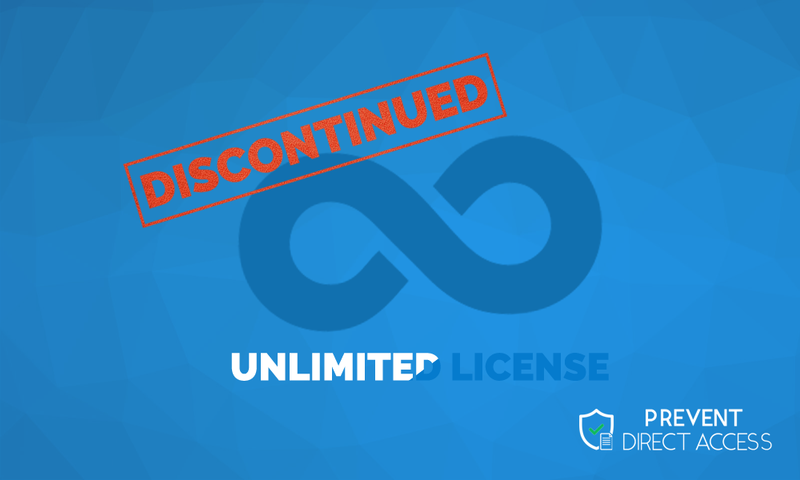 That’s why when we launch Prevent Direct Access Gold version 3.0 this year, we’ve decided to discontinue the “Unlimited” and offer “Pro” pricing plan instead. For existing customers on the “Unlimited” plan who decide renew your annual subscription, we will continue providing support and updates to your existing websites that our Gold version is activated on without increasing your subscription price. 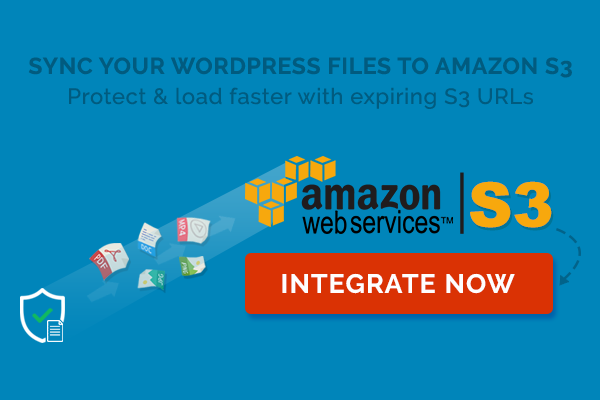 We will also assist you to migrate over to our Gold version 3.0 if you haven’t yet. If the number of activated-license websites is less than 15, we will cap them at 15 as per our Pro license. For those who decide not to renew the subscription, we have to, unfortunately, stop our updates and support, which would likely cause our Gold version 2.0 to stop working properly on your website. This is an effort to eventually migrate all existing Gold version 2.0 to 3.0 for security and performance reasons. Now thanks to the new “Pro” pricing plan, you have an option to use our Prevent Direct Access Gold on multiple websites while paying much less. The “Pro” license allows you to install and use our Gold version up to 15 websites, which are more suitable for personal usage. It’s worth noticing that the discontinue of our Unlimited doesn’t necessarily limit your usage of our PDA Gold. If you want to use our Gold version on more websites than what your current license offers, you could easily upgrade your license at any given time. You may also consider getting our Developer license in case you want to use our plugins on your clients’ websites. If you want to use our Gold version on WordPress multisite without having to purchase the Developer or Pro license, consider getting our Multisite extension instead. There is a lot of positive feedback since the launch of our Pro in place of the Unlimited license. Hope you love it too.